I’ve dedicated a healthy portion of my life walking the streets and boulevards of Paris to find grainy bread here. In a city where there’s a boulangerie on every corner, you can get excellent baguettes or a nice loaf of pain au levain just about anywhere. 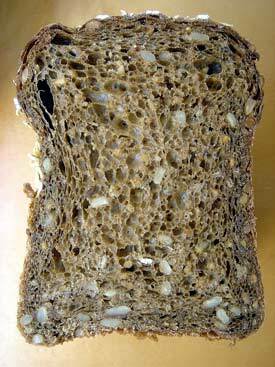 But it’s hard to find a loaf of bread with lots of seeds and stuff in it. Maybe it’s because the breads in Paris, like Parisians, are so refined. And as much as I love all the breads in Paris, it’s the grainy breads that I find especially appealing. 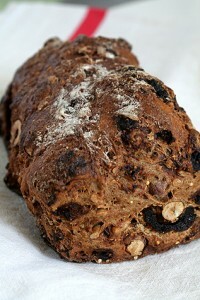 Here are some of my especially favorite grainy breads from various bakeries across Paris. These are the sturdy, hearty breads that I enjoy most. And the ones that I’ll happily walk across town for one. 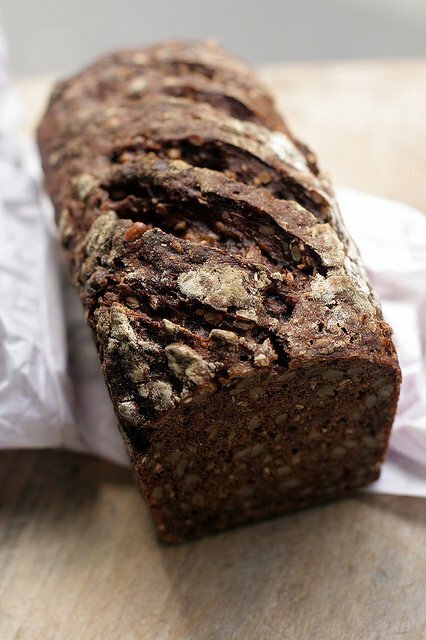 I learned about this bread from Clotilde’s explorations and it’s a favorite. Tight and compact, Norlander bread is the heaviest bread I’ve found in Paris. And it’s also small, making it the perfect bread for a little afternoon snack with some contraband peanut butter, which a friend smuggled out of an American army base in Switzerland. I’ve been told the Grand Epicerie makes over 80 different kinds of bread underground, beneath this enormous food emporium. This is a lighter, airy bread, yet full of lots of sunflower seeds and a good amount of oat flakes. It’s excellent sliced-thin and toasted. But get there early: for some reason, by mid-afternoon they start feeding all the Pain Nordique loaves into the slicing machine and bagging them up. Last time I was there, I was in the slowest line in the world, and as the lone saleswoman waited patiently on some madame that was bickering over the prices or freshness of a single roll or something. Meanwhile the other salesperson was tossing the brown loaves into a slicing machine as fast as he could. All I could do was stand there helplessly, hoping that my turn would come soon, before he could finish slicing all the loaves. I ended up getting the last two. Whew! This is one of thes best breads in Paris, period. I don’t know how Eric Kayser does it, but each loaf comes out encrusted with golden sesame seeds. Slice it open, and you’ll find a delicate but full-flavored bread studded with crunchy grains of millet, sesame and sunflower seeds, with a naturally sweet taste. I used to walk across Paris to his shop on the rue Monge for a loaf (actually, I always get two and freeze the other.) Kayser has opened bakeries across Paris – and even one in New York City – so it’s easy to find this bread. 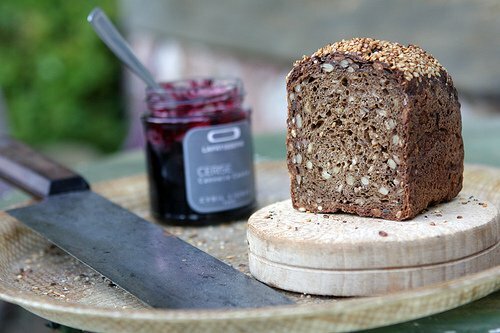 It’s got a lovely lightness, along with the crackle of the grains, and is perfect with cheese or swiped with butter and honey for breakfast. When the quality of the baguettes of my local boulanger, Au Levain du Marais, slid downhill after their month-long summer vacation a few years ago, I agonized over the loss for weeks and weeks. I was torn. In France, your live your life according to your local bakery. You know when the loaves go in and come out of the oven, when the baker is off, and how to get the baguette cooked just the way you like it (bien cuite, svp!) You adjust your life, since most bakeries are closed two days of the week, so you need to plan your schedule and meals around those two days. 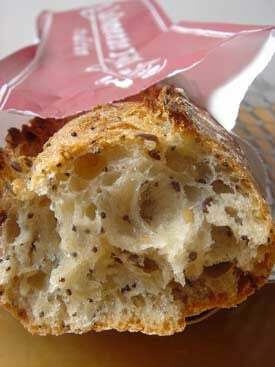 My supreme disappointment lasted for months until I discovered this grainy Tradigrains loaf at Au Pain de Saint-Gilles in the Marais, just a few blocks from chez David. Now this is proudly my baguette of choice. Do you see why? Beatifull breads. 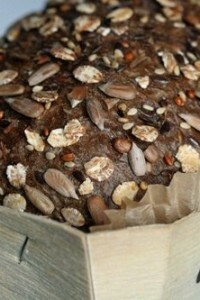 Is there a possibility to see some delicious bread recipes at your site? 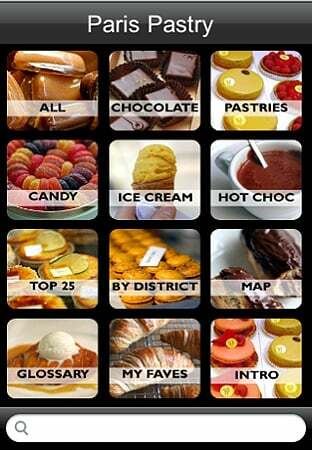 Since I’m surrounded by all these great bakeries, I’ll let them slave over a hot brick oven all day long. It’s the first time I’ve come across your blog and I was thrilled to read your post. I’m moving to Paris in a few months and this will definitely help me to track down some wonderful breads in a city whose vast bread offerings are likely to overwhelm me. I have a great deal of your posts to catch up on I think! Bonjour Michele, and welcome to Paris…it’s a marvelous place to live. Today I visited the St. Chapelle church and my jaw literally dropped (yes, really!) when I walked in. I’ve never seen anything like that in my life. But sometimes you just want to throttle someone, which I think is frowned upon by the authorities, and other times, you’ll be entranced by it all…as I often am. PS: Come to think of it, there’s some people in the US I’d like to throttle too! 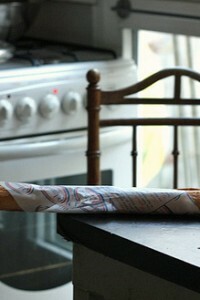 ooops, I sent you a comment about your wonderful bread post, and I put it on the rue tatin post. rats. can you fix that? if not….um…la de da? I am catching up on the important things in life. i.e. reading blogs. If you haven’t found “the German fellow who made the amazingly-good, dense and grainy bread that he brought to the BBQ at Meg’s last night..” Let me know. I have names, numbers, address and a good personal relationship with said man. The Eric Kayser baguette is really delish. Hubby and I were lucky to stay at a friend’s flat which is just around the corner of rue Monge . So we’ve indulged in Kayser baguettes and the other rustic breads while in Paris for three glorious days and celebrated the Bastille Day, to boot. Varieties of Pain Nordique and Norlander Bread are plentiful in Scandinavia, at least in Stockholm and Helsinki.